Hey all! Beginning a brand new year can bring with it an array of mixed emotions. Many people are setting new resolutions and others are unsure about what the year will bring. Does any of that sound familiar? If it does, I want to share a few things I do to keep the stress down. Stress causes a lack of motivation and can often result in depression. Before the bad vibes sink in, I'd like to share a few things I do to stay motivated and keep a positive outlook on what’s to come. When I start feeling uneasy and I sense that negative thoughts are trying to make their way into my space, I know that I need to slow down. I have to gather my thoughts. It's better for me to deal with one day at a time. Tomorrow's not promised so I try to keep that in mind, which helps me not to stress so much about what's coming tomorrow. I just try to think about what I can do today. After all, doesn't today have its own set of worries? Do your best today so that it makes for a better tomorrow. Another thing that helps to keep me motivated and positive throughout my day is taking a few minutes before the madness. I find that my better days are the days when I wake up before my children and start the day early with a prayer and scripture reading and a cup of my favorite coffee. The days when I don’t pray and read, I find myself more tense and easily distracted from the course of my day. As a side note, I’m a huge fan of both Starbucks and Marley coffees. Any time I'm sipping on a cup, I find myself basking in the bliss of freshly brewed coffee beans. I rarely sit inside a Starbucks coffee shop, but on the occasions that I've visited, I've found the ambiance to be relaxing and quite enjoyable. I love a relaxing environment when I'm brainstorming new ideas, but since I have to watch my caffeine, I try not to surround myself with the temptation of caffeine in a coffee house (my personal struggle, guys). So... I try to create a relaxing environment at home with things that I love and where I can exercise a little more self control ha! So instead, I'm in the process of creating my own coffee bar. It's fun, but I actually have to work to make the coffee so that element of inconvenience keeps me from refilling. 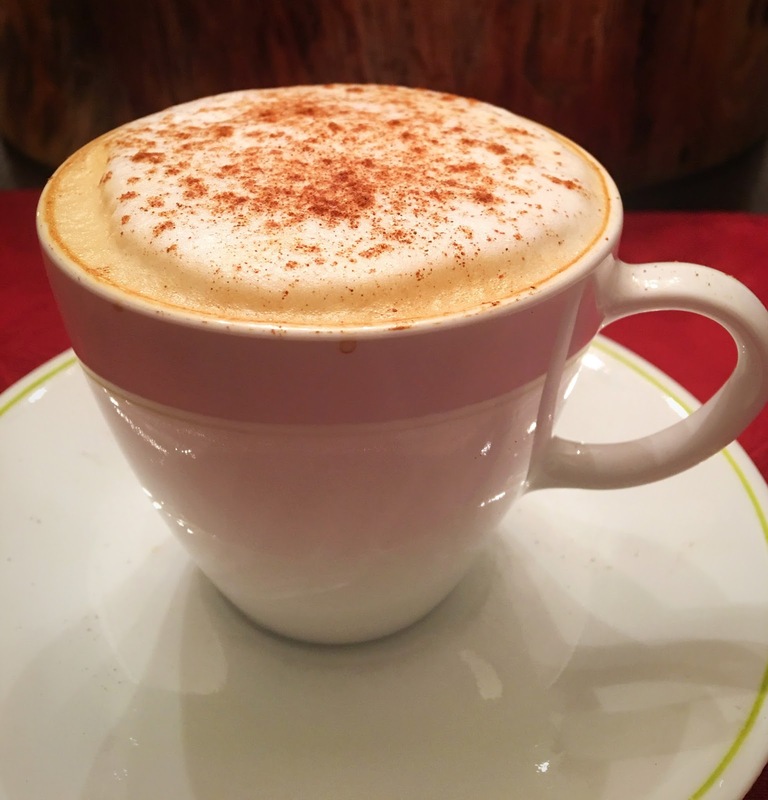 Here's a cinnamon latte that I made with my new Ninja Coffee Bar (an awesome Christmas gift from my husband). I'm already getting the hang of creating new drinks with it. Surrounding myself with positive people helps me through tough days. I reach out to my remote cheering squad. I call on my select set of friends, who are almost dedicated to encouragement (even when they don't feel well themselves). These are the best people to have in your life! So here's the bottom line. Whatever your preferred morning power drink, try having it in a relaxed environment where you can reflect on something inspiring. 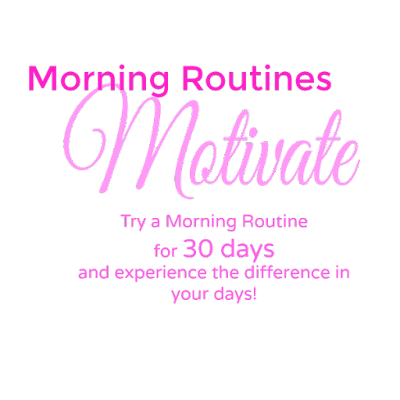 Try this as an inspirational routine for 30 days and see how much better you feel as you go through your day. Create a positive network and to help you get through the days that you need a little extra lift, people who will pray with you and give you words of encouragement. These are things that I, personally, do to keep my days as positive as possible. They are a great help in how I manage my schedule, how my mood is affected, and even my work. Also, for a limited time, get a $10 Starbucks gift card for only $5 (while they last) here.